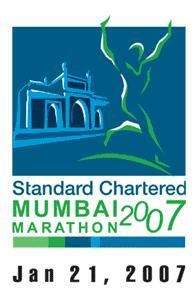 I was looking forward to Mumbai Marathon, but I will not be participating after all. I decided to pull out after I saw the late starting time for full marathon. For some strange reason, half marathon is starting ahead of full marathon. This is in stark contrast with other place where they flag off the full marathon first and the rest later. But, in Mumbai, half marathon starts at 6:45 AM and full marathon only 7:40 AM. For runners like me who might take 5+ hours, it would be very difficult to run for that much time in the Mumbai heat and humid. 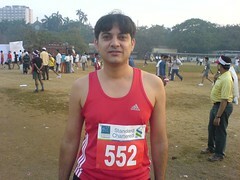 So, I am opting out..
Good Luck to other ChennaiRunners who are participating.. I completely agree with you, Ram. Due to this very reason I changed to the Half since the timings part was decided about a month back, even though I had run the full last year (dont ask me the time - it took forever :). Too bad that you are pulling out. I am considering the same too actually. I was thinking about doing the half marathon but i guess its a waste of time and money to go all the way to mumbai to do the half mary. We could do a thirty k run this week to compensate and maybe run the ecr stretch...what do you think ? I thought about doing half, but decided to skip as wasn't sure if I would be allowed to run with the half marathon crowd.. I am game for a 30K run.. are you coming this weekend? haven't seen you in ages..
Agree with all of you. No point in going. we may as well do a 30 kms run on ECR on the same day. Heard anything about Chennai Marathon yet? Sounds good.. I am game.. how about other ChennaiRunners? Chennai Marathon.. don't know.. hope it is in Feb..and not in May..